Amygdala (アメンドーズ Amendōzu - "Amendoze") is an optional Great One Boss in Bloodborne. It's similar to the large enemies who attempt to grab the Hunter with portals, but lighter in color, and lacking tentacles on its head. Nightmare Frontier, at the bottom near the shortcut lift that is guarded by a Silverbeast. To reach the Frontier, one must obtain the Tonsil Stone from one of four building-dwelling NPCs after nightfall and be abducted by the Lesser Amygdala hanging from the wall to the right and down of the Grand Cathedral in Cathedral Ward. This boss can also be found in the Defiled Chalice Dungeon, at the end of Layer 3. Lesser Amygdala, the non-boss version can be found across Cathedral Ward and Yahar'Gul, Unseen Village. They are treated as obstacles rather than enemies. Weak to Arcane, Fire and Bolt Damage. Resistant to Blunt Damage. The tricky parts of this boss fight are its weak points are dangling in the air and may not always be reachable. Even when only using its arms, this boss has a wide variety of attacks. The fact that it has so many arms makes things worse, as it may occasionally unleash longer-lasting or farther-reaching versions of its typical attack patterns. Amygdala has relatively low health for a boss, but only its head and front limbs are vulnerable to physical attacks. Attacking the lower half of the body will do much less damage, unless elemental damage is used. However there seems to be a sweet-spot in its crotch that can be hit with a high swinging weapon such as transformed Ludwig's L2 or Burial Blade, will deal standard damage. Projectile weapons aimed at the head can deal damage to Amygdala quite reliably. The Executioner's Gloves is a great way to do this. Watch out for its stomp attacks and jumping attacks. Its 3rd phase (about 30% HP) is very aggressive, and is the hardest part of this fight. During this stage, it will rip off two of its arms and swing them as weapons. Visceral Attacks can be performed by doing damage to Amygdala's head. If you attack its arms, they will visibly bleed out. Any attack on that arm will do increased damage until it heals it, so it's more effective to focus on one, if possible. This tactic also works on its legs, though the damage before bleeding is significantly reduced. One can use the greatsword form of Ludwig's Holy Blade to hit its head at almost any time during the fight, via the L2 attack. For NG+ and onwards, the Burial Blade's secondary form (the long scythe form) can hit the head even more easily than Ludwig's. An upgraded Cannon with Bone Marrow Ash is also very effective, as is the Tonitrus, and the Threaded Cane in either form. All of these are safe, simple, and fun strategies to use. If you're having trouble with Amygdala's third stage, get behind it and attack. It should jump, but it will jump away from you, and it should be still facing away when it lands. When this happens, dash for it and use a dashing attack on its legs or tail. It'll do small damage, but it'll be safe. Keep pursuing it and hurting it. Eventually you will tenderize its legs or tail and you can do more damage to it. It'll take a while, but it's safer than trying to attack its head and arms now--especially in the Defiled Chalice. Occasionally, it may still try to stomp, so be ready to dodge it. If you're using the Kos Parasite a good method is to use hunters tools on his head (such as Accursed Brew or Executioner's Gloves) and run at him with a running R2 when he dips his head down after an attack since he's pretty weak to arcane damage. After enough hits to his head for a visceral, perform the visceral and then once the animation finishes for the both the visceral and Amygdala's recovery from it, while you're still near or under his head, hit L2 to perform the Parasite's AOE which will do a substantial amount of damage on him before he's ready for his next attack and then dodge away before his next hit. Attacking the arm closest to the boss's legs will more often than not trigger its stomp attack, making its first two stages much easier. However this is not always the case and may flail its arms instead, in which case dodging outward or between its legs is the safest method. Amygdala's vomit deals Fire damage. The key to this strategy is that when the boss jumps, it won't hit you as long as you stay still. So: using a Hunter Axe in transformed form (L1), run behind it. Stay behind the tail (you may need to stay a bit behind to keep out of range of its backward swipe) and wait for it to jump. When it jumps, 1) STAND STILL and 2) hold R2 to queue up the axe's spin attack. When it lands on top of you (missing you entirely), release R2, making sure to aim your attack at the head (you'll eventually figure out where the head's going to be). When your attack finishes, IMMEDIATELY run/roll back to the tail or you'll get pounded. Rinse and repeat the above until it rips its arms off (at around 30% health). Once it rips its arms off you can just stay toward the left rear (near the hands but in front of the left foot) and it'll generally jump, but now it will always jump away from you. Run up to its left side and take a swat at the middle or rear hand. Stay toward the left rear and it'll keep either jumping away from you or doing a stomp attack with the left foot (which won't hit you as long as you're not right next to the foot); in either case just take a whack at its hand. Rinse and repeat until it's dead. Using this strategy, the Defiled Amygdala can be killed in 2-3 minutes while the player takes almost no damage. My strategy is to simply lock onto its head and wait for it to do an attack where it ends up with its head on the ground and simply run in and hit it once (or twice if you are fast enough). A long range weapon is mandatory for technique, and any weapon that has an overhead vertical running attack will guarantee more hits if you are slightly late to react. I find it is best to continuously circle around it until I see an opportunity (there are only 2 attacks it does that I run in to attack). You will recognize these after 1 or 2 attempts. I find the last phase is easier to circle right (whenever possible), as one of the attacks it does that you are waiting for hits at longer ranges with the its right arm then left. This makes it easier to dodge and then run in for the attack. The key to this strategy is to stay mobile. Staying still is a guaranteed way to end up killed in this fight. When you walk through the boss fog you want to get on the move immediately, Amygdala will either leap at you, smash down with both arms (get caught by that and you'll likely die) or charge forward and use its laser attack. In the first phase, you want to circle around it, letting the boss attack the ground and generally make it's bad temper known. As you circle around get in and score some hits on it's middle set of arms. You want to focus on one or two arms throughout this fight as when you break them you can score 1.5x the damage with each hit. A ranged weapon is ideal for dealing with it (the Saw Spear while extended or the Greatsword version of Ludwig's Blade) and if possible make sure you've got an elemental blood gem fitted for extra damage. Plug away at the boss gradually until you get it into the second phase. For the second phase, it's time to get a touch more aggressive. Its attacks change up somewhat here. The dual arm slam now has small arcane AOE blasts on each smash down, the laser attack is now less predictable but most importantly, the boss bows it's head more and does the six arm flails less. This is the perfect opportunity to get some major damage in. Wait until it does a two arm smash and it bows its head, get in and attack the head with a combo. Your instinct when it gets up is to back off, but wait. Power forward and get underneath the boss as it will do wide swings in front which you can't roll through. Wait until it's stopped thrashing then get out from underneath it and resume the tactics from stage one. At some point in this stage if you keep attacking the head you'll hear the sound for a V.ATK. Don't miss this opportunity as you can take off nearly 800 hp. This is one of two opportunities for a V.ATK so don't waste it. For the third phase you need to keep on your toes as Amydala gets incredibly aggressive. It tears off its two middle arms and uses them to attack you with increased range. When it swipes side to side with the extended arms you can roll through the attack but the timing is very difficult, so the best bet is to get up close and get underneath. The slam attacks now come in a frenzied combo with lots of arcane blasts from each hand. This boss fight can be made almost trivial by using A Call Beyond. It will take out massive chunks of its health, granted you have the QS bullets to spare (24 is recommended). At the start of the fight, get a few hits in with your weapon of choice to lower it's health a bit. Then get some distance between the two of you, aim at its head, and send off two A Call Beyond bursts. The first will stun him, allowing the second to do even more damage. When it gets back up again, dodge its attack and send off one more A Call Beyond to its head. This will either kill it or leave it with a very small amount of health. If it survives your last attack, make sure to run in and kill it quickly as it will go straight into its final (and extremely dangerous) phase. The DLC introduces an easy boss tactic. Use a maxed out Simon's Bowblade to stay just out of harms way while dealing massive damage. Aim for the head during times Amygdala will not be dodging your arrows. Always save a bit of Stamina for an emergency dodge. Simply stay far enough away to avoid getting hit while using your Blood Vials to replenish your Blood Bullets. When Amygdala jumps, if you stay still, he usually will not land on you, this makes it easy to hit his head without even locking on using the L2 attack of the Kos Parasite. After he jumps, press L2, your character will hug themselves and explode arcane damage outwards, hitting Amygdala's head, chest, and arms. Then, as soon as you can move, sprint towards the opening between the tail and the back legs, rolling if neccesary to avoid retaliation. Rinse and repeat until victory. Stomp Tries to step on the player for heavy damage. Best avoided by rolling away from its legs. Exploding Laser Fires a single blue laser beam in front of it, inflicting no damage. Immediately after this, powerful explosions follow the laser's path. When you see its fire, dodge horizontally away from the attack, and close in on it. A variation of this attack has it shooting the laser in quick, successive bursts. While powerful, the explosions this attack causes have small blast radii. Acid Discharge Flails its head and spits a pool of damaging vomit on the ground in front of it. Simply move under or away from it to avoid it. The area covered by this attack increases in Phase 2. Low Arm Swing (+ Combo) Sweeps the ground in front of it with one of its front-most arms. If the player is close enough, Amygdala will follow up with a 2nd sweep from the same direction, followed by a palm smash. Flailing Combo Smashes and claws wildly at the ground beneath it. Difficult to avoid due to the range and duration of this attack. Can also hit players standing behind the boss' legs. Forward Palm Thrust Lurches upwards, then does a right palm thrust followed by a left, with both attacks reaching close to the ground. Followed by a multi-arm smash targeting the perimeter of Amygdala's "underbelly". The recovery from this attack leaves the head wide open. Phase 2 introduces magic spheres at the end of this attack. Arm Smash Lifts four arms above its head before smashing them down flat in front of itself. Move under it, to its sides or to its rear to avoid this attack. The head is easy to reach with any weapon after this attack. Jump Jumps high into the air before coming crashing down, damaging anyone it lands on. Try to roll directly away from the starting point of the jump when it hits the ground, so that you end up between the boss' head and legs. Downward Pincer Swipe Raises all of its arms up with hands pointed downwards, then brings one pair of arms down to attack the space beneath it from opposite directions. May repeat this attack in quick succession. An Amygdala is a bilateral neural structure set deep within the limbic system of the brain. It is thought to be responsible for learning and organizing fear responses. Amygdalectomy - surgical removal of this structure - is associated with reduced capacity to learn memories related to fear and behaving fearfully. The Lesser Amgydala which it shares appearance with are invisible, but are partially visible once the Hunter is grabbed by their portal. They also become fully visible while the Hunter's Insight stat is 40 or more, and are permanently visible after the defeat of Rom, the Vacuous Spider. Unlike its portal-using counterparts, it has no grab attack, and does not inflict Frenzy damage. In the Defiled Chalice fight it is possible for it to get stuck in the ceiling when jumping. It is a rare bug but it is game over if it happens since you can't reach its and it can laser you. If a are in low levels and beating it takes a while and you are afraid this bug might happen then try to keep it in the center of the arena where the ceiling is higher than in the edges. In some medieval philosophy the amygdala was regarded as the seat of the soul but also a medium for "animal spirits". Within the amygdala a balance is struck between the rational desires of the soul and the fleshy, animalistic wants of the body. Interestingly enough, the Dark Souls 3 boss Darkeater Midir has a laser breath attack which is almost identical to the Amygdala & Lesser Amygdala's laser. Both trace out a line which shorty afterwards combusts in flame. 1 hit on defiled chalice???? Seriously Software?! Easy cheesy for the Almond (not-so)Joy Prerequisites: Evelyn or another high-power pistol, some decent &apos;Tinge, at least 20 vials and bullets, some BMA to boost gun damage (optional) What do: stay just barely within range of your gun and focus on shooting its head, making sure to not get hit by its longboi slaps or its occasional laser in the process. If you run out of ammo, use blood bullets but don&apos;t forget to watch your HP. It would be wise to make every shot count. When its almond bursts, run in and shove your hand in it real quick, then back up and repeat for phase 2. Keep an eye (or several, depending on your Insight) out for its rapid laser attacks and be careful not to get too close to its void hands (in short, repeat phase 1). Once its dome bursts again, run in and give its brain another tickle, then run to its crotch and go nuts on its nuts until it&apos;s dead, just make sure you don&apos;t get stomped on in this phase because that&apos;s all it can do. If you&apos;re afraid of being crushed by its jumps when you&apos;re directly beneath it, just stand completely still and you&apos;ll be fine. Tip for the Defiled Chalice Amygdala (the one in the spacious, round area): stick to the wall and keep on running around the area (I ran clockwise). Just don&apos;t stop and you should not receive any damage. Now just wait for the attack in which Amygdala hits the floor with its front arms and stays like that for a while. This is the moment when you have to quickly get to her front arms and hit them (probably just once). Once you do that and Amygdala puts its arms up, run back to the wall and keep on running close to the wall. Rinse and repeat until Amygdala rips her arms off. Here, follow the Strategy 5. When done in this way, it is one of the easiest bosses, it just takes some time, so be patient. Unfortunetly, it doesn&apos;t work for the FRC Amygdala due to different layout of the area and I don&apos;t know if it can be used in Nightmare Frontier (I haven&apos;t tried it). If you want to best this beast without having an anyurism, use hunters axe and ohantasm shell, get behind it after it slams, bait the jump, charge your spin to win, aim behind you, and let loose on the head. Then run like hell behind it again and rinse and repeat. After arms are ripped off, it gets way easier, as it cant kitten swipe at you through its legs. Try using the L2 in transformed kos parasite mode when he jumps. wait by the tail, bait the jump, stand still, press l2, hits his head, arms, and chest, run like hell through the legs. Rinse and repeat until victory is yours. A good early strategy that I used is utilizing the massive range of the Beast Cutter and Augur of Ebrietas. Though the latter requires you getting into the danger zone, it deals very hefty damage to Amygdala even at minimum requirements and opens up visceral opportunities - while tje Beast Cutter&apos;s strong attack is ideal for reaching the head with any hit. Bring some fire paper! Very easy boss. Even easier as Witch of Hamwick. Maybe I have encountered it to late as I was already in end game after finished DLC, what I doubt as this area is plenty of very useful intems. I struggled at the beginning, because Ludwig&apos;s sword did not make a big deal, but once I shut this ***** with Cannon right into its head, it took it nearly 50% of life and after viseral attack witch followed this boss was finished before it could do anything else. WHAT is the point in building your stats... if no matter what you have heightened, this *****er ONE- or TWO hits you???? 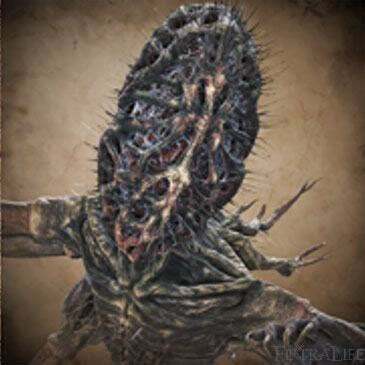 One of the best Soulsborne bosses, IMO. It’s strong, but fair; its size is impressive, but still manageable; it’s got a kicking OST and it looks cool as hell. And that entrance, jumping from the top of the tower? 10/10. I won’t say it’s a badass like Artorias, Midir, and Gael with higher reward factoring, but Amygdala is arguably one of the best balanced bosses in the meta. Cursed is tough at first, but once you memorize its cues, it’s fairly easy to get through the fight without taking a single hit. Just hang out in front of its head and bait attacks that cause it to bow forward, then rush in with an Arcane weapon. When it signifies that it’s going to spew acid, chuck a molotov or better yet, the Accursed Brew at its face. Visceral openings come easily this way, removing about a third of its health off the bat. At phase 3, get under it and start attacking its arms, or hit the head when it tries to jump on you. Memorizing the timing on dodging the jump may be tough at first, but you can definitely do it with practice. Is there any evidence the enemies in the Unseen Village and Yharnam are the Lesser Amygdala? I mean they&apos;re not only bigger and unkillable with more powerful abilities but the Amygdalan Arm, which as far as I know is the only thing referencing Lesser Amygdalans in-game, is very clearly white like the boss, while the ones creeping around buildings are all black. An easy way to kill this boss is to use a fast attacking weapon and stay underneath it by its feet or right behind its legs by its tail. Just keep attacking its legs rapidly, Amygdala can rarely reach you with any attack in this spot unless it jumps or stomps. Just roll around the stomp and inward towards it toa void the jump. I killed him very fast doing this and didn&apos;t take much damage because he could barely reach me lol. If you attack one leg enough he&apos;ll get staggered and pick up his leg or stop moving for a moment, that&apos;s when you can let your stamina build and unleash some powerful attacks to his tail. I hope this can be some help, good luck hunting!